Where are Creative Play for Kids classes located? 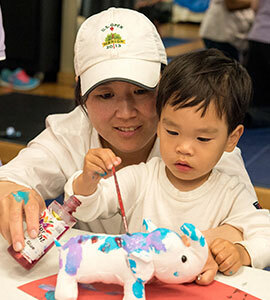 Creative Play for Kids classes are in multiple neighborhoods in Manhattan. Please refer to our Schedule & Locations page for our current schedule and location info. What can I expect from a Creative Play for Kids class? 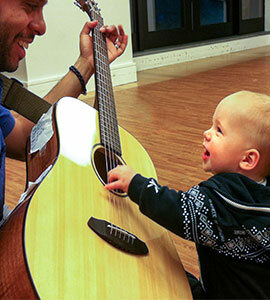 Creative Play for Kids classes are upbeat and fun developmentally based music, movement, and play classes. All classes consist of circle time songs, a main music activity, a big story time, bubbles and more! Your child will be actively engaged and stimulated through our variety of materials and weekly activities. Yes we do. Our first-time trial class fee is $15 space permitting. Please contact us to set up your trial class. Yes, but it is space permitting and it does vary by location so please contact us directly for more info. I am very dedicated to ensuring that babies and toddlers are grouped together with their peers of similar ages (3 – 6 months; 7 – 12 months; 12 – 18 months; 18 months and up) some classes will have some overlap. The main thing that I watch for is if a child is happily engaged, having fun, exploring, learning, and discovering. Every child’s personal development is looked at and considered. How do I contact Creative Play for Kids? You can contact us @ 212-729-1667 or info@creativeplayforkids.com. 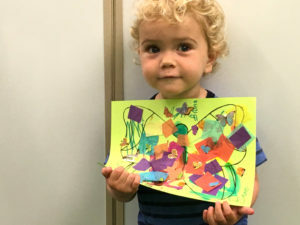 When can I start a Creative Play for Kids class? Our Bouncing Babies class is a great first class to take with your baby as young as 10 weeks old. Bouncing Babies classes are not offered at each location so please check our locations page. When will my child be too old for Creative Play for Kids? Classes are developmentally appropriate for babies and toddlers up to 3 years of age. Can I have Creative Play for Kids come to my building? I am always seeking out new venues for us to hold classes. If you live in a building where there are a lot of families residing and you think your building would be interested, please contact me so that we can explore the option of bringing Creative Play for Kids to your own building. We’ve tried other classes but they have not been as fun as Creative Play which is why we keep coming back!